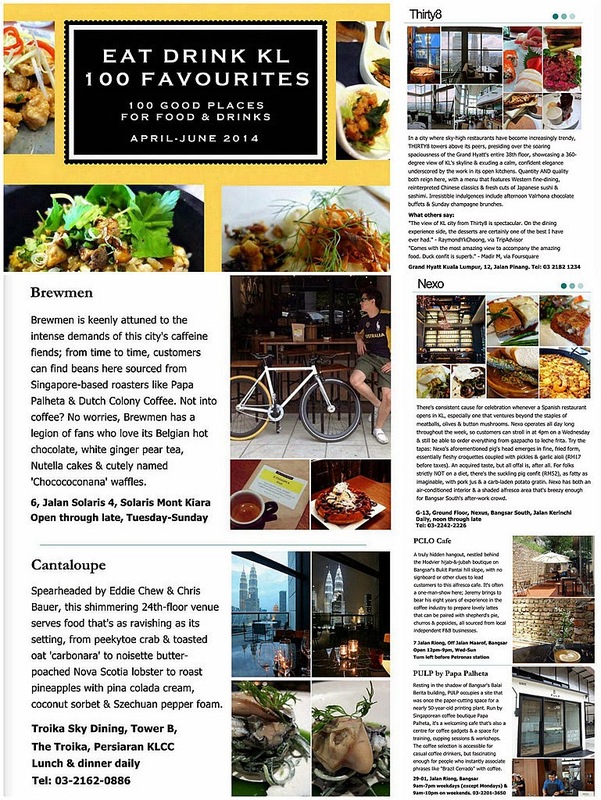 Bangsar's Hidden Cafes, Part III: This month, Bangsar welcomes not one, not two, but three new cafes hidden in unlikely locations, each extremely different from the others. 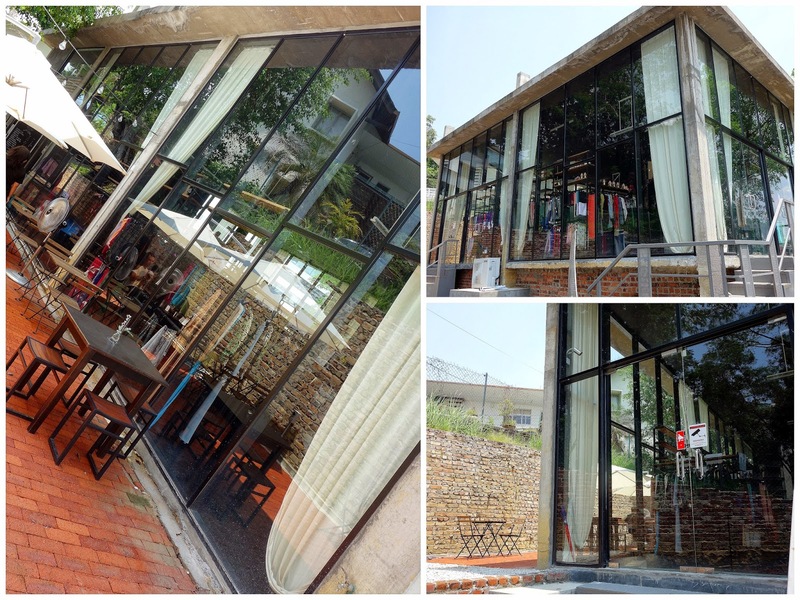 The one that's the most secretive could be PCLO Cafe, an outdoor hangout on a Taman Bukit Pantai hill slope. 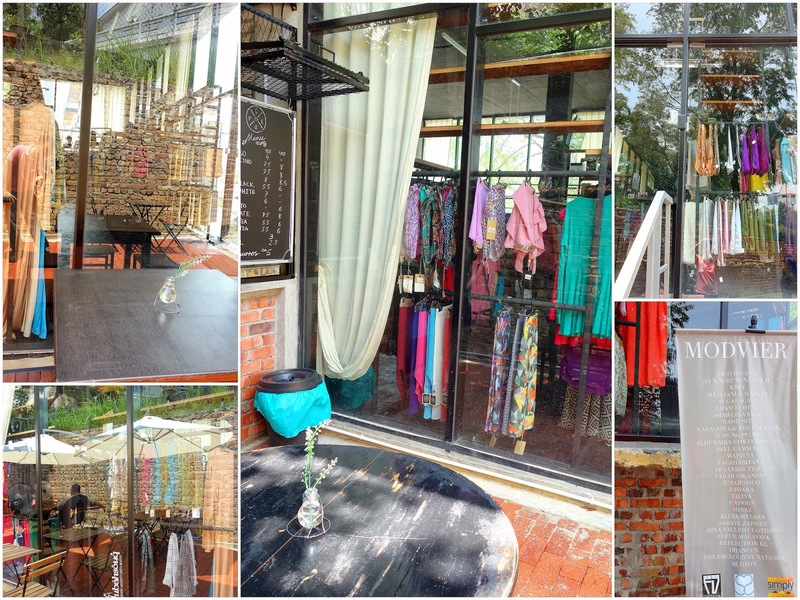 PCLO makes crafty use of a narrow space between a wall & the new Modvier hijab-&-jubah boutique, which (for extra privacy) conceals the cafe from the view of passers-by. Directions: From Maarof, driving from the Hindu temple toward Telawi, turn left on the tiny road immediately before the Petronas station. You'll see Modvier on your right. For now, this partly shaded cafe might mainly be a one-man-show; on a recent weekend afternoon, Jeremy, an amiably chatty chap who says he's had eight years of experience in coffee distribution work, efficiently tackled everything from taking orders to making coffee & serving customers. 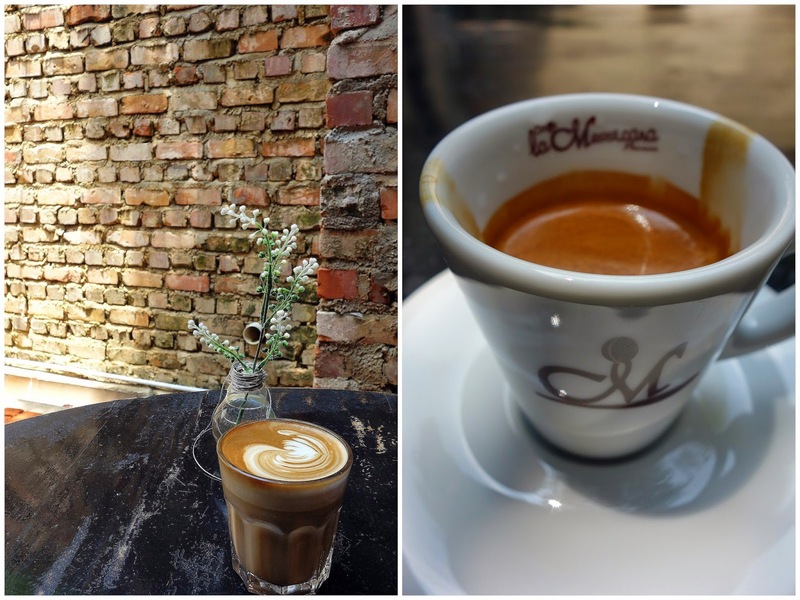 We liked the latte & double-shot espresso; both hit the spot for our personal preference in terms of taste, texture & temperature. 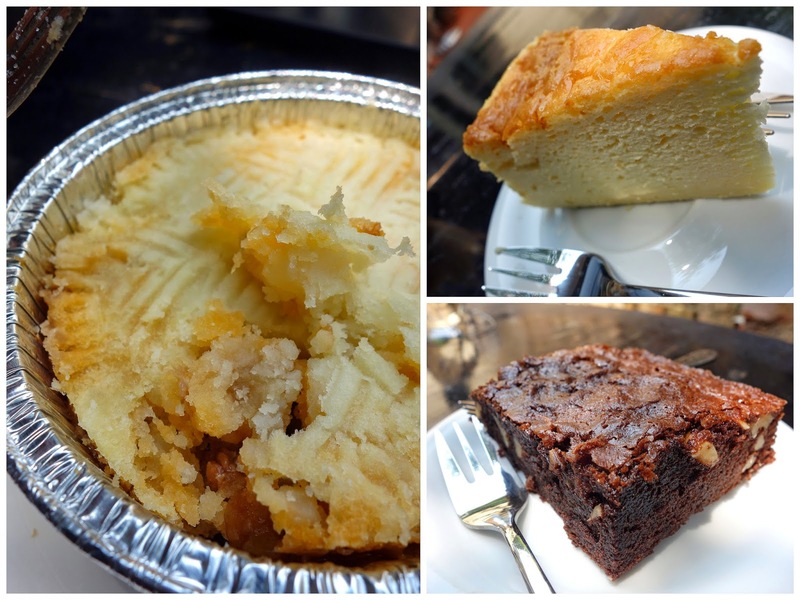 PCLO serves simple, satisfying snacks sourced from local independent F&B businesses, including no-frills shepherd's pies, well-made cakes & very pleasant brownies. Churros are on the menu too (RM5), crispy on the outside, soft & moist inside, with cinnamon sugar & chocolate sauce. 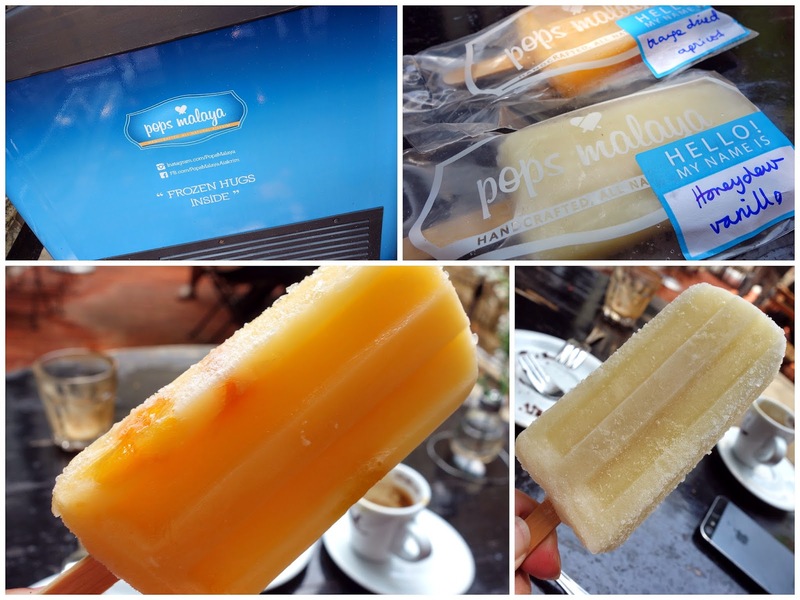 Preservative-free popsicles by Pops Malaya, perfect for beating the heat. Flavours include pulpy orange-&-dried-apricot & honeydew-vanilla, made with real fruits & organic sugarcane sugar. PCLO operates in collaboration with the colourfully stocked hijab shop. Interestingly, PCLO _ a reference to the piccolo latte _ has another cafe that might be more masculine-skewing in Bangi, at the Bikers Rendezvous motorcycle merchandise store. 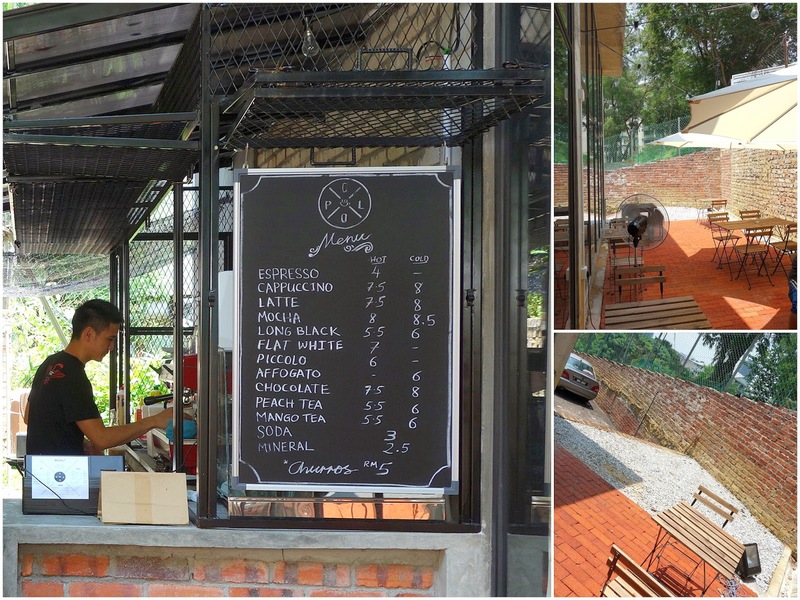 Bangsar's Hidden Cafes, Part I: PULP By Papa Palheta. Part II: Monkey Garage by Regal Valet. Sean, I love that first photo, it really caught my eye. The coffee looks great, and I love frozen fruit on a stick (or iced tea) on very hot days. Looks like great crema on that latte! You managed to sit outside in the afternoon without aircon? That's a first! Oh no! Not in our tropical heat...and that sure looks hot! I'll come down with heat stroke. Can't see the filling in the shepherd pie! Pie cover looks great, nice mashed...no so fine and mushy like SR's. Popsicles!! They sound like such delightful treats and I love the fruity and preservative free flavors, *squeals*! These cute places pop up in the most unexpected places! wow! :) very rustic looking cakes. interesting location too! by now i am wondering, how often do you eat the same thing twice? curious though, you seem to have such a flight of fancy style of gastronomic adventure that everyone loves to envy. always good read whenever i'm online! It really is quite hidden.... it's a real wonder how u find these places. I kinda like the concept and the location. wow....Bangsar now having so many unique cafes. How much is the popsicles? I like the idea of using real fruits. I think this one have to wait till my next trip!